SH: Do you have any tips or hints that have served you well in your appearances on game shows? DSJ: Be yourself! Each show has its own profile and you have to make sure that your profile suits the game, based on level of general knowledge and if you feel that you will come across well. TV quiz shows are classified as light entertainment and producers like to cast ‘likeable’ types. Players are more media-savvy these days and the public is more confident than those in earlier years. SH: Of all your appearances, which was your favourite show, and why? DSJ:As I cheekily mention in my book “You never forget your first time!” My first outing on Sale of the Century was an amazing experience, and my first piece of national television exposure. 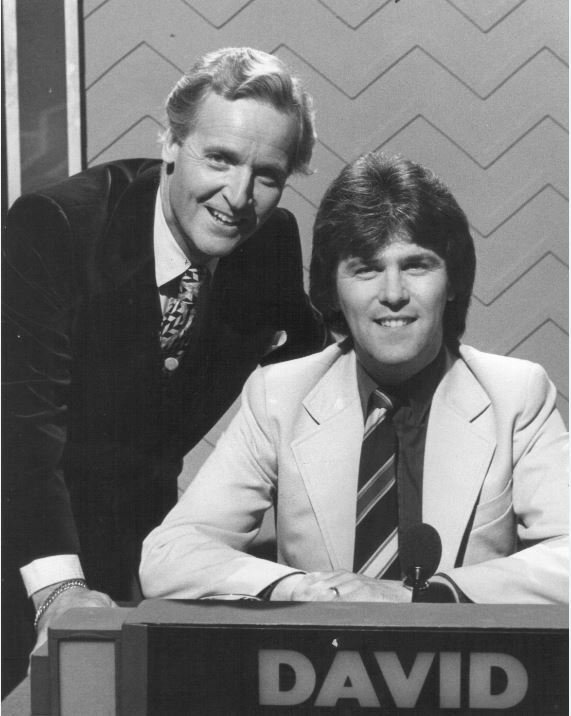 David St John in his first quiz show appearance, on ‘Sale of The Century’ (1982). I became hooked, and then carried on with further applications that form the basis of my book, as my tally of shows gradually built up to record-breaking levels. I really never gave this a thought along the way, and the recent local/national press picked up on it, thus inspiring me to write my first book. 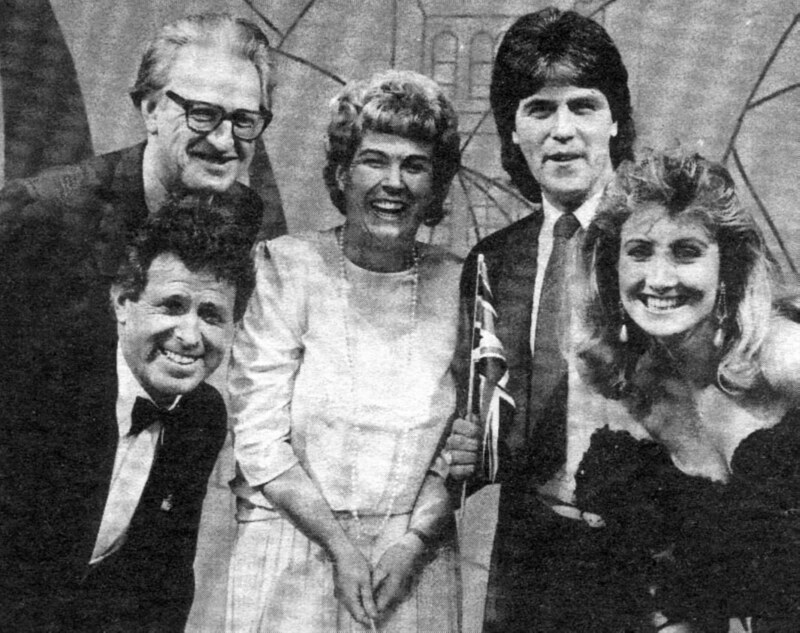 However- my favourite show is when I qualified to represent Great Britain in the ‘Sale of the Century – Ashes’ in 1986. I cherish my memories of being flown out to Melbourne to experience the hospitality and fantastic city, despite (unknowingly) being seeded up against one of the top quizzers in the UK, so not quite quick enough on the buzzer! It just proves that you never know what might come out of any appearance, and this led on from my first UK quizzing appearance in 1982. Us ‘Poms’ were thrashed on this international show, but up against formidable opposition, so guess it made up for the odd cricketing upsets! *This episode is actually currently on YouTube, right here! DSJ: ‘No Win – No Fee’ 2002. Not a bad show, but I never had the chance to face any questions, as it was based on other contestants nominating rivals. I was only selected and had to choose one of two (easy) questions for my opposing player to answer, based on my perception. Sadly, this led to my elimination on a show that I might have won, based on viewing the show when eventually transmitted, as the question levels were reasonable. SH: Having appeared on your first game show (Sale Of The Century) back in 1982, what changes have you noticed in the TV game show landscape over the years? DSJ: Naturally, the prize money on high profile shows, thanks to deregulation plus the proliferation of TV channels. The ‘phone-in’ revenues have contributed to the big money wins, although several shows have quite low value prizes. As mentioned before, quizzing has really taken off in recent years and forms a large part of people’s social lives as they often take part in local pub quizzes etc. This also enhances knowledge and can boost trivia levels, that might come in handy on a TV show, along with the fact that the general public is more confident in seeing themselves on the media. When I started out on my quizzing trail, I noticed that many contestants were not as upfront as today’s quiz show players, but this is also compounded by the researchers who choose the right kind of player, who can inject some personality into proceedings. Fun chat between the questions can also lift a show, especially with a good host who can keep it all running well. SH: Are there any TV quiz shows you haven’t been on yet, that you’d like to? If so, why? DSJ: ‘Who Wants to be a Millionaire’ was my ultimate goal, but I was not prepared to waste too much money on the premium-line phone calls in order to get a call back (massive odds against). Its global success showed how great it was, with its elements of drama, gameplay and much more. It also showed that some players with limited general knowledge might be lucky enough to gamble on the multi-choice questions, and win life-changing amounts. Another goal is ‘Mastermind’ and a prestige show to appear on, despite its difficulty levels, although the general knowledge rounds vary widely, so one might be lucky to get the right subjects. I have a few unusual ‘specialist’ subjects that might strike a chord with the researchers, and I have had three auditions in recent years, so watch this space! SH: Now that you do hold the Guinness World Record, what’s your next TV quiz show-related challenge? In other words… where to from here? DSJ: Sadly, it appears that my TV quizzing profile has possibly gone against me, despite a few recent successful applications and good auditions. My last appearance was in January 2013, but I will keep at it and hope to land back in yet another studio. This will also add a notch to my Guinness World Record, which has so far been safe as no other contenders have arisen to challenge my crown! My ultimate aim is to host a TV quiz show, and I have also submitted an unusual format to various production companies, that might be picked up in the near future. This would see me cross the studio floor to ask the questions, after a lifetime of answering them! I’d like to thank David so much again for his time, and we certainly wish him all the very best in whatever comes next for him… be it on either side of the quiz-master’s podium! If you’d like to buy a copy of his eBook Yours Quizzically: Confessions of a TV Quiz Addict, it’s available right here on Amazon, and if you’d like to find out more about David, his extremely comprehensive website is here at davidstjohn.co.uk.